Coexistence of Animal Rights on Earth (CARE) reported on November 22, “Taepyeong Slaughterhouse in Seongnam City, which started in the 1990s, was the largest dog slaughterhouse in South Korea. At least 80,000 dogs every year were brutally slaughtered there, the meat being distributed throughout the country. 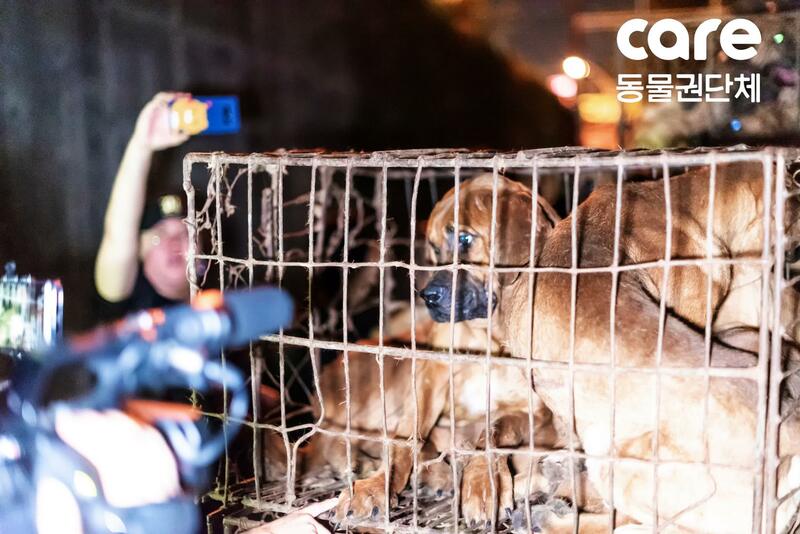 Click HERE to learn more about Seongnam Taepyeong dog slaughterhouses. Stop the illegal dog and cat meat trades. 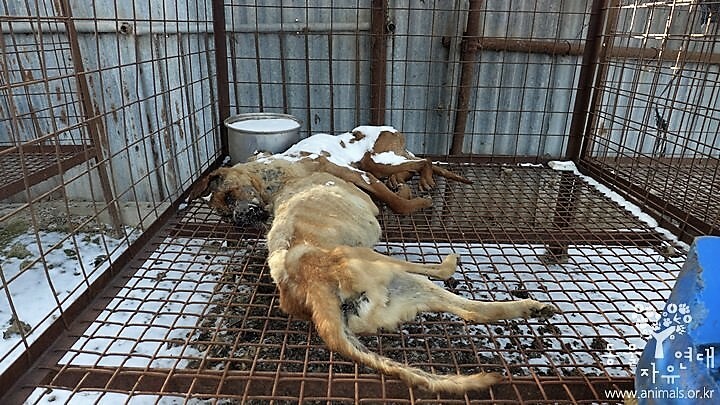 All across South Korea, millions of ‘meat dogs’ (including newborn puppies) which are destined for human consumption, are kept outdoors in meat farms and slaughterhouses, imprisoned in cages that are crudely constructed of wire and raised off the ground, and which afford no protection from the snow or freezing winds that are part of a normal winter in that country. These poor creatures – from the second they are born, to their final breath at the uncaring hands of a brutal butcher – have to endure endless misery and agony. South Korea is truly a “Hell on Earth” for countless innocent dogs and cats. So, please, don’t let the Koreans continue their vile and cruel practice: click the links below to take action today to help fight the South Korean dog and cat meat trades. You received this email because you are registered with koreandogs.org.